Not only are there very few countries that love wood as much as Japan, but Japan’s woodworking techniques are virtually unrivaled. This applies particularly to plain coniferous wood. The two cultures that are most fond of untreated wood are the Scandinavian and the Japanese, but there is a basic difference in the two traditions and how they use wood. 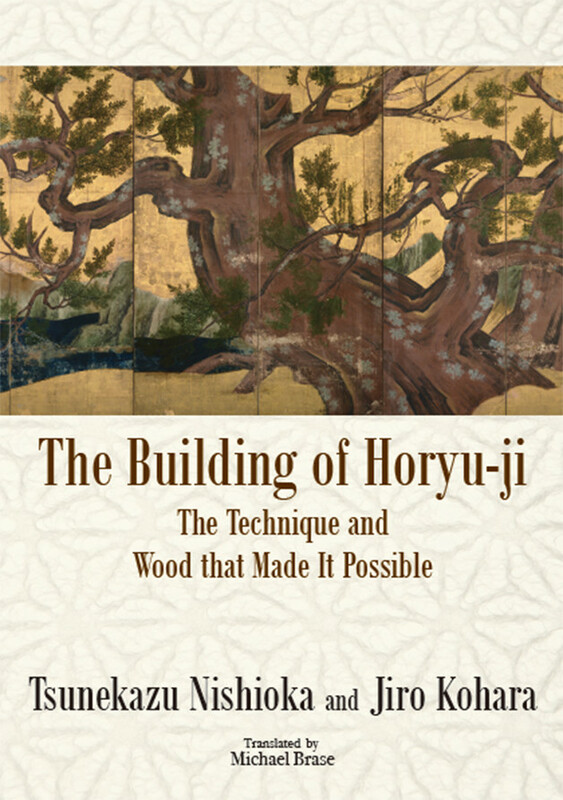 This is clear from the fact that, historically, Japan has exclusively used wood as an architectural material. From the ancient past, the Japanese people have had a deep and abiding knowledge of trees and wood. This may be summed up in the teachings of the Buddha by the word juon, which can be translated as the “blessings of trees.” For more than a thousand years, Japanese have lived in wooden homes. They have developed the techniques for working with wood that best suit its individual qualities, for wood is a living material and its properties vary. The interiors of their homes and other buildings were made with natural, unvarnished conifer wood, and the flooring consisted of woven mats raised a step above ground level, making footwear unnecessary and enabling inhabitants the luxury of sitting directly on the floor. This lifestyle continued for more than a millennium. Horyu-ji temple was first erected in the 7th century and has come down to us today in the magnificent form it achieved in 711, over 1,300 years ago. It has given the lie to the common misconception that wood is destined to quickly rot and decay, and has demonstrated the enduring value of wood; it should not go without mention that the temple has been designated a World Heritage Site as the earth’s oldest wooden structure. Here, Tsunekazu Nishioka, a master carpenter who undertook the repair of this monumental structure in the mid-20th century, shares the insights and knowledge he gained from that experience. 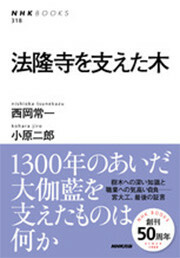 To make Nishioka’s words and observations more easily understood by later generations, Jiro Kohara has buttressed them with scientific experiments and commentary, bringing into sharp view Horyu-ji’s long-concealed mysteries and secrets. The result is a revealing picture of Japan’s immemorial love of trees and wood, and a broad-ranging introduction to the country’s wood culture. Tsunekazu Nishioka (1908-1995) worked for many years on the repair of Horyu-ji and other temples as a miyadaiku (master carpenter). He was called the last miyadaiku of the Showa Period (1926-89). He received the Order of the Sacred Treasure. Jiro Kohara (1916-2016) was a professor in the engineering faculty, architecture department, and Chair of the engineering faculty of Chiba University. He received the Order of the Sacred Treasure and the Medal of Honor with Blue Ribbon.